Geo-exchange Systems | Colorado Mesa Univ. 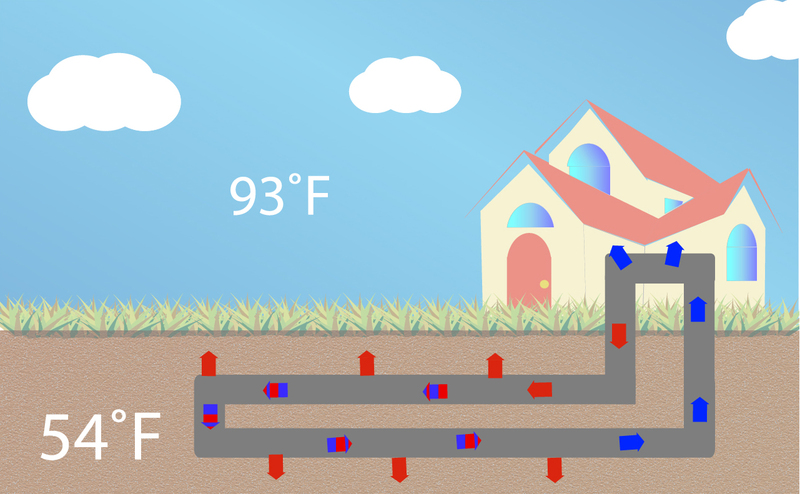 CMU heats and cools the buildings around campus through a Geothermal system. The system includes 171,000 feet of pipes and seven well fields. The pipes carry heat energy around campus and the well fields allow the system to store and receive energy for future use during different heating and cooling needs. In the summer months, heat is drawn from the building and transferred below ground. 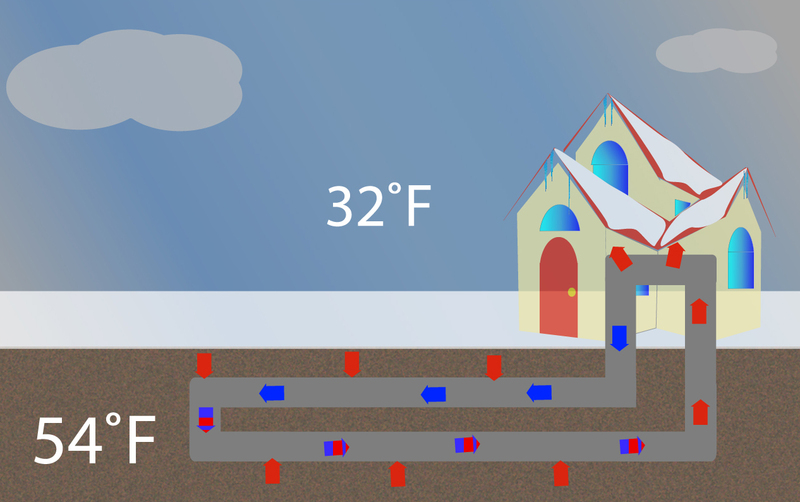 In the winter months, warm air is drawn from the ground and transferred into the buildings. The well fields are located under Delta Field west of Tomlinson Library and under the quad by North Avenue Hall. The Parking lot west of Dominquez, south of North Avenue and by Garfield Hall also house these storage fields. The system controls the temperature of the academic buildings, the University Center, the Maverick Center and the Maverick Pavilion. Garfield Hall, Bunting Hall and North Avenue Hall are all on the system's loop as well. Moss Performing Arts Center, Lowell Heiney Hall, the Little Mavs Learning Center, Grand Mesa Hall, Tolman Hall, The Maverick Innovation Center, Rait Hall and the Walnut Ridge Apartments are not connected to the system.